I get a lot of emails from people asking for ideas for their holidays in Greece. Where should they go in Greece; which islands do I think would be best for them; which parts of the Greek mainland they should see; and where should they stay? Some want to travel around in Greece and see as many places as possible, others simply are looking for the perfect hotel on the perfect Greek island. There are families with teenage children, honeymooners, couples travelling with a baby… Some are looking for the most affordable accommodation; some have luxury villa holidays in mind; most are simply dreaming of a charming small hotel or bed and breakfast. Many of the people who write to me have been to Greece before but would like suggestions for new places and island to visit, but for some it is their first time in the country. I can understand how difficult it can be to decide where to go in Greece. 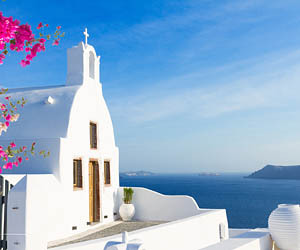 The islands are all so amazing, and the Greek mainland has so many fascinating historical towns, mountains, traditional villages, archaeological sites and natural beauty. If you only have a couple of weeks’ holidays, or less even, how should you choose? There is an easy answer to this question: as long as you stay away from the resorts that have been developed to cater to package deal tourism (you won’t find them on this site), you are bound to end up in places you will definitely like. But if you do a bit of further research, you will end up in a place you will love. The picture-perfect Greek islands famous for their amazing beaches, charming architecture (whitewashed villages, windmills, tiny churches...), relaxed atmosphere (on most) and spirited nightlife (on some). 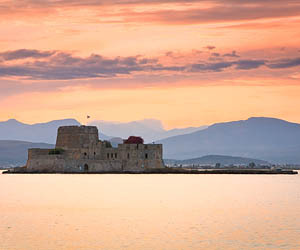 Greece’s largest island and one of its most diverse – a destination in its own right. 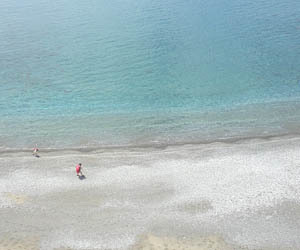 Endless beaches, traditional villages, historic towns, gorgeous mountains, history and archaeology, Crete has it all! 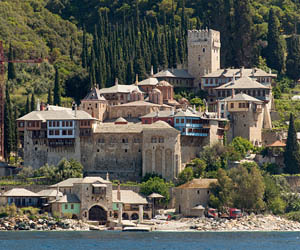 A region in NE Greece with a beautiful coastline, wild mountains, rivers, lakes, gorges and charming villages. 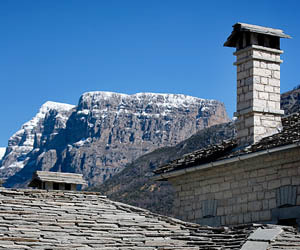 A great destination to enjoy nature, experience Greek traditions and stay in charming hotels. 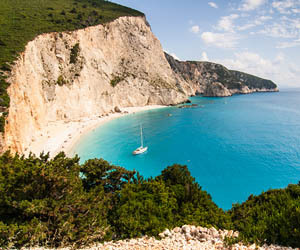 With spectacular beaches and pretty little coves, turquoise waters, charming villages and towns, and lots of greenery, the islands in the Ionian Sea are definitely are among Greece’s most beautiful. The lesser known (but not less beautiful!) north of Greece. Lakes, mountains, beaches, traditional villages, lively towns, small ski resorts, monasteries, archaeological sites... so much to explore! 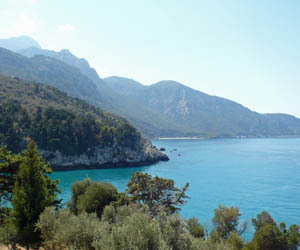 An island group including Samos, Chios and Lesbos, all destinations in their own right. They are all very beautiful with their own traditions and unique features worth discovering. 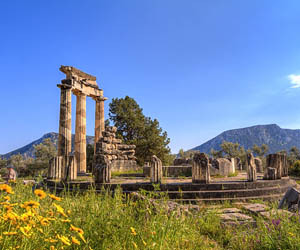 A wealth of archaeological sites, splendid mountains, unspoilt nature, traditional villages, centuries-old monasteries, historical towns and great beaches, the Peloponnese has everything you can dream of! 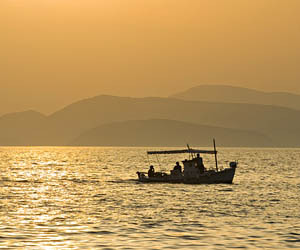 Hydra, Spetses, Poros, Aegina, Angistri, each one of these charming islands has a different feel. 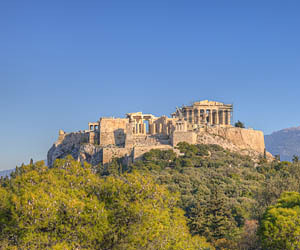 Easy to reach from Athens, they are a much-loved destination for weekend escapes and longer holidays. 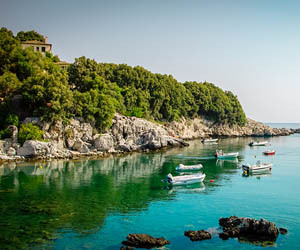 Glorious nature, spectacular mountains, lakes and rivers in the heart of Greece, as well as the Pelion peninsula with its forested mountain slopes, gorgeous traditional villages and great beaches.